1. 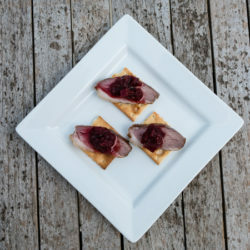 Remove the skin from the Smoked Duck Breast and slice the meat. 2. Crisp the skin in a hot oven or under the grill and allow to cool. 3. Meanwhile peel, de-pith and section the oranges, reserving any juice. 4. Chop the crispy duck skin into croutons. 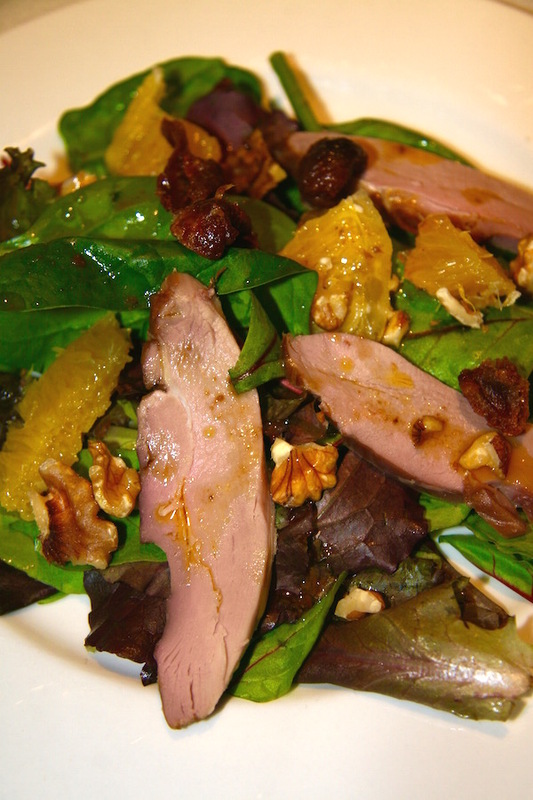 Arrange the salad onto 4 plates with slices of duck, orange and walnuts. 5. Drizzle over the dressing with the reserved orange juice and finish each with some crispy croutons.